ECW Press gave me a copy of Stories about Storytellers by Douglas Gibson and The Watch That Ends the Night by Hugh MacLennan in exchange for writing this, so this is basically a sponsored post, but I am totally on board with the concept and think some of my CanLit-loving readers will be too. So, here’s the deal. There’s a contest that’s valid up till the end of September, so if you want to get in on that, you best get reading. On the other hand, Alice Munro credits him with keeping her writing short stories when the world demanded novels. Robertson Davies, with a nod to Dickens, gratefully called him “My Partner Frequent.” W.O. Mitchell summoned up a loving joke about him, on his deathbed. 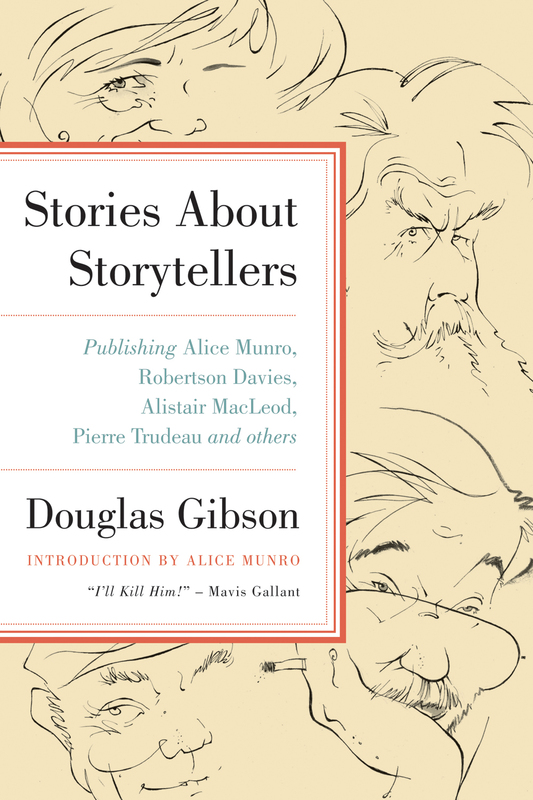 Stories About Storytellers shares these tales and many more, as readers follow Doug Gibson through 40 years of editing and publishing some of Canada’s sharpest minds and greatest storytellers. I’ve read none of these. No Great Mischief was on my radar, as is everything by Munro, but I hadn’t even heard of MacLennan or Gallant, and I’ve been wary of Davies since I read Fifth Business in high school. This list is enticing to me because it’s challenging and not totally obvious. I appreciate representing female authors in this list (almost half! Progress!) though I must point out that the ratio of female to male authors addressed in the Stories About Storytellers book is abyssmal, a fact that Munro talks about in the introduction. 1. The book is dedicated, in Latin, to Dorothy. The dedication reads, “To you, wherever or however you may be, I give my thanks and this book.” How is your reading of the book affected by knowing that Hugh MacLennan, as a loving, protective, vulnerable husband, went through the same anguish as his fictional storyteller George Stewart? 2. Hugh MacLennan chose to make this the very first book (unlike Barometer Rising orTwo Solitudes or Each Man’s Son) that he told in the first person. He wrote that George Stewart “partakes of some of my character (about 25% only).” Yet, like George, Hugh taught at McGill, did occasional CBC radio work, had taught at a boys school, had flirted with radical ideas in the Depression, and now lived west along Sherbrooke Street. What did Hugh gain by adopting a firstperson perspective? And what did he lose, given that the book has the ambitious aim of telling the entwined life stories of its three main characters — George, Jerome Martell, and Catherine, the woman married to both of them? 3. In my book, Stories About Storytellers, I talk about this book’s opening chapter, where “after years of happy marriage to a widow named Catherine, at the end of the first chapter Stewart receives the most dramatic phone call in Canadian literature.” Did the drama (“But it was in the papers you were dead!”) catch you, making you eager to read on? What moment first grabbed you? ECW is offering a prize pack for a lucky reader who reviews Stories About Storytellers or any of the book club books. It ends December 31, 2013. These are five books Doug thinks everyone should read, and he urges you to do so with the Stories About Storytellers Reading Challenge. Here’s how it works: Read Stories About Storytellers as an introduction, then read one or more of the five selected novels. 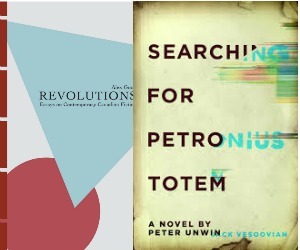 Share an online review (on a blog, Goodreads, Facebook, or anywhere you choose) of Doug’s memoir and your chosen novel(s) and for every review link you send to ECW Press, they will give you one entry to win a CanLit Prize Pack featuring all five featured novels and some new and exciting Canadian fiction. Review links can be sent toalexis@ecwpress.com. Contest closes September 30, 2013. Truthfully, I will struggle to get a review done in September, but I’m going to do my best. It’s a decent prize! But I will take this list on as a long-term challenge to up my CanLit street cred and to learn more about some authors who probably deserve the attention. I’ve already read the first chapter of Stories About Storytellers, the one about Hugh MacLennan, and the writing is fantastic; it’s very conversational and easy to read. It’s like talking with someone in a pub or something, only that someone has super interesting stories about famous people. I think I’ll read about each author before reading their novel, rather than reading all the Stories through in one shot. What do you think about the book choices? Will you try the Stories About Storytellers Reading Challenge? Want to join me and fellow book bloggers Reeder Reads and Your Hidden Shelf? Let me know in the comments! Many thanks to ECW Press for the books.